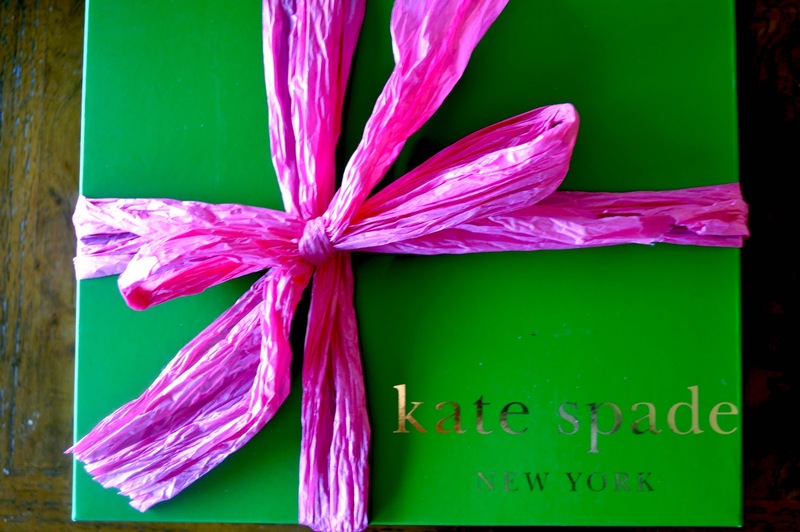 There's nothing like a green Kate Spade box to get me all giddy. 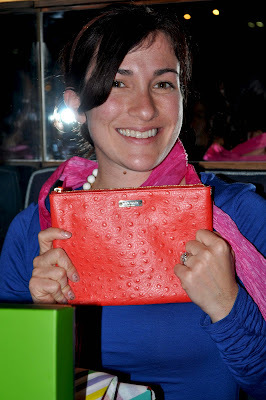 Except maybe the sweet little red clutch that's inside. Thanks to Kat, Rema and Paula for a special early birthday gift! How was your weekend lovelies? I love it! The Kate Spade packaging is adorable. very very cute!!! enjoy it my dear! Ohh fun!! Happy Early Birthday!! That is a beautiful color! Happy Early Birthday! Love that box!! So fun to get packages like that! I got a bracelet for Christmas, gorgeous wrapping. Enjoy that gorgeous clutch! Cute clutch! I love the color! Kate Spade packages are always the most fun to open :-) Cute clutch! Why, hello there!!!! Kate always gets me. Love that clutch! Kate Spade is the best. LOVE that clutch! Happy early birthday! I would think I'm a weirdo for loving that wrapping/tissue paper...but it looks like there's others here who appreciate it as well! yay! Happy Birthday Alexa, glad you like it! 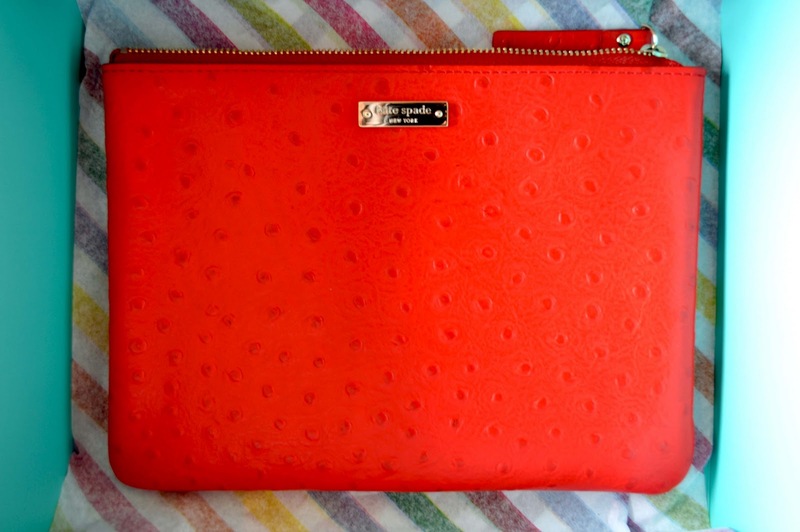 Gorgeous clutch, your girls sure know how to shop, Kate Spade + color of the year = perfection! Oh la la!! What a fun gift to receive in the mail!! The wrapping is almost as good as the present!! Oh! I let out a little gasp of excitement! 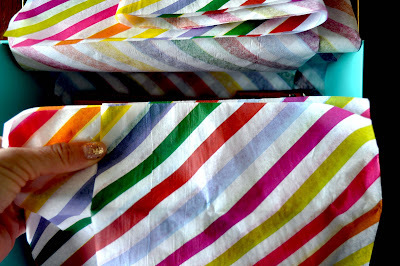 I loved their "Live Colorfully" campaign! Gaby: I know right? My birthday is tomorrow! Oooh that would make me giddy too! What a gorgeous gift. 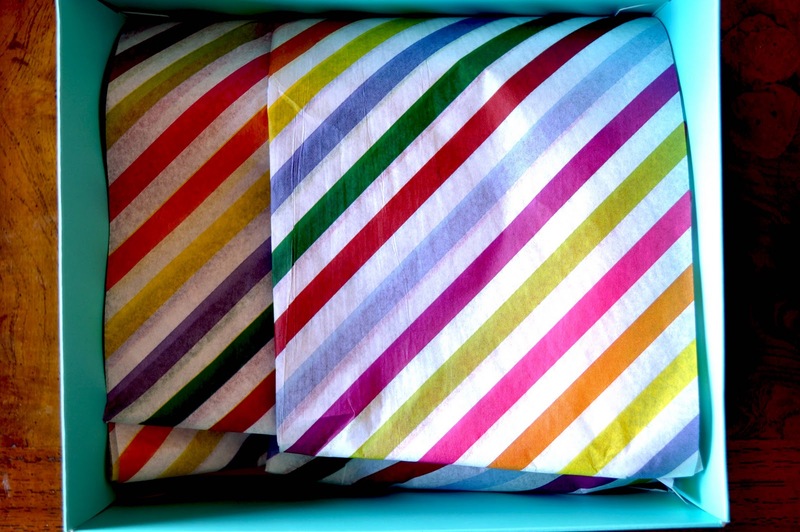 Even the tissue paper is pretty! Love it! The color and texture are great!